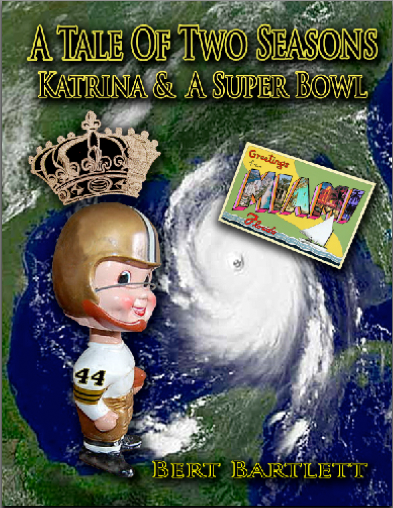 A Tale Of Two Seasons, Katrina & A Super Bowl is scheduled to be released this month, first in eBook, then in Softcover. (I watched an ipad at work this past weekend and was amazed at it’s book reproduction). A link to order the book now in either format, direct from the publisher, is below. If you are inclined, please forward the link to anyone who you feel may have an interest in knowing about it. Word of mouth does wonders for new books. Posted in Uncategorized.Tagged A Tale Of Two Seasons, Hurricane Katrina, Katrina & A Super Bowl, New Orleans Saints, NFL, Pro Football, Saints, Write2grow.org. Next Post Are You Ready For ‘Dis?